Still floating high from the massive hit that was the 2006 Riddin’, Chamillionaire (or Hakeem Seriki) could have went the way of many of his hip-hop compatriots and let the gravy train roll in while producing increasingly inferior albums. 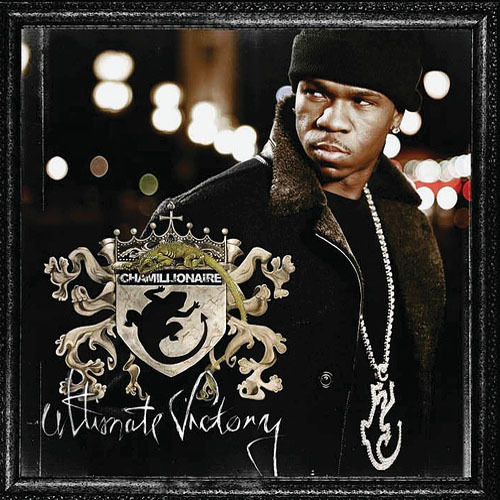 However thankfully I believe that Ultimate Victory proves that while Chamillionaire’s southern style of “snap rap” is subject to simple beats and non-sense lyrics, he attempts to rise above the stereotype and do his own thing in a creative and thoughtful manner. Sadly and somewhat expectantly, the album has faults with a few duds such as Rock Star, which features the simply awful rapper Lil Wayne who seems to be inexplicably popular and featured as a guest on many top albums these days. Also the track, The Ultimate Vacation feels too mellow and out of place. Thankfully the majority of the album is great and thus the bad aspects are more forgivable. Starting with the media and government critical track The Morning News, you know that this isn’t just another party disc but that Chamillionaire actually has something going on upstairs. Followed by the albums single, Hip-Hop Police is a story of injustice and misdirected blame on the rap community for all the worlds’ woes. Next up is Won’t Let You Down, a slow mournful track with great bass. Industry Groupie’s 80’s sport movie music sample is fun though the track is no more than an elongated shout out. Possibly the best track on the album is Bill Collecta featuring Krayzie Bone from Bone Thugs-N-Harmony. The song subject matter doesn’t break ground but the preceding skit and the raspy whispery voice of Krayzie Bone simply nails it and will make you fear the “bill collecta”. For a song with more interesting subject matter and a contender for best track turn to I Think I Love You in which Chamillionaire anthropomorphizes money as a woman, musing about the joy and seemingly fated heartache she causes. The Evening News repeats the first tracks message and style but is different enough to still enjoy. Now while Stuck in The Ghetto may be labeled a skit, I personally think it’s strong enough to be labeled an actual song if it was longer. When I first heard the track I knew I had to learn how to play it, so eventually I came across this video of Tony Henry playing it live and copied the chord progression from watching him. Great song. Finally we come to Chamillionaire’s outro The Ultimate Victory in which he thanks everyone for helping him to achieve all that he has and hopefully will keep achieving. If it seems like I just listed the entire album, you’re close to the truth. The album is chocked full of hits, great production and refreshing attitude that begs to be bumped at parties and in cars. If you like southern rap or good hip-hop in general, go buy this album I assure you won’t regret it.